Submitted by aliciainmenasha on Thu, 2011-04-21 16:36. 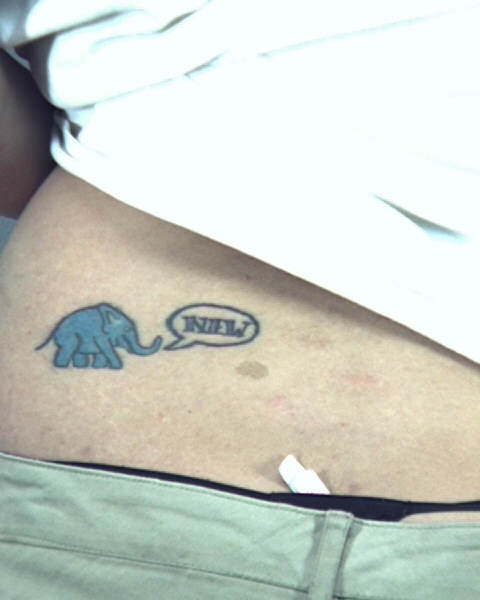 Is the elephant asking if that piece of t.p. coming out of her thong/crack is new? Submitted by superinfidel on Wed, 2011-03-30 18:49.